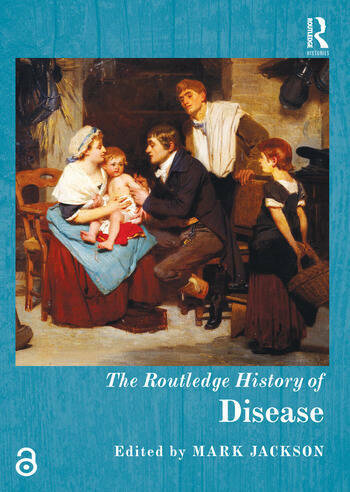 The Routledge History of Disease draws on innovative scholarship in the history of medicine to explore the challenges involved in writing about health and disease throughout the past and across the globe, presenting a varied range of case studies and perspectives on the patterns, technologies and narratives of disease that can be identified in the past and that continue to influence our present. Organized thematically, chapters examine particular forms and conceptualizations of disease, covering subjects from leprosy in medieval Europe and cancer screening practices in twentieth-century USA to the ayurvedic tradition in ancient India and the pioneering studies of mental illness that took place in nineteenth-century Paris, as well as discussing the various sources and methods that can be used to understand the social and cultural contexts of disease. The book is divided into four sections, focusing in turn on historical models of disease, shifting temporal and geographical patterns of disease, the impact of new technologies on categorizing, diagnosing and treating disease, and the different ways in which patients and practitioners, as well as novelists and playwrights, have made sense of their experiences of disease in the past. International in scope, chronologically wide-ranging and illustrated with images and maps, this comprehensive volume is essential reading for anyone interested in the history of health through the ages. Mark Jackson is Professor of the History of Medicine at the University of Exeter. His publications include The Age of Stress: Science and the Search for Stability (2013), The Oxford Handbook of the History of Medicine (ed., 2011), Asthma: The Biography (2009), Health and the Modern Home (ed., 2007), Allergy: The History of a Modern Malady (2006), Infanticide: Historical Perspectives on Child Murder and Concealment 1550-2000 (ed., 2002), The Borderland of Imbecility (2000), and Newborn Child Murder (1996). "Encompassing an astonishing array of places, periods and pestilences, The Routledge History of Disease demonstrates indubitably how useful and fundamental disease is as a lens through which to view and understand human history. Essential reading for historians and health professionals alike." "This book captures much of what has made the history of medicine one of the most innovative historical fields in recent decades. Its contributors respond to one of the key challenges posed to scholars in this field through case studies which are sweeping in chronology and geography and confidently demonstrate that medical knowledge is framed by the social, economic, political and cultural, and not merely biological factors."